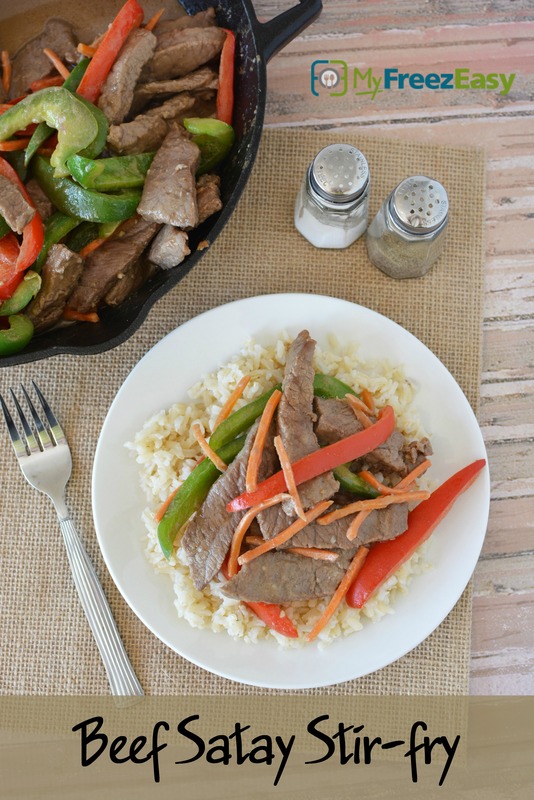 Stir-fry meals are so easy and quick! Slice the red and green bell peppers into thin strips. Cook rice or rice noodles and egg rolls, as directed. To a large skillet or wok, add the beef slices and marinade and saute over high heat for 5 minutes. Add the bell pepper strips and julienned carrots and saute for a few more minutes. If needed, mix the cornstarch with equal amount of water and whisk into the sauce to thicken it. Reduce heat to low and simmer for 5 minutes, while sauce thickens. Serve Beef Satay Stir-fry over rice or rice noodles with egg rolls. Slice 2 red and 2 green bell peppers into thin strips. Do NOT add cornstarch to the baggie. Put baggie in the freezer and freeze up to 6 months in fridge freezer or 12 months in a deep freezer. 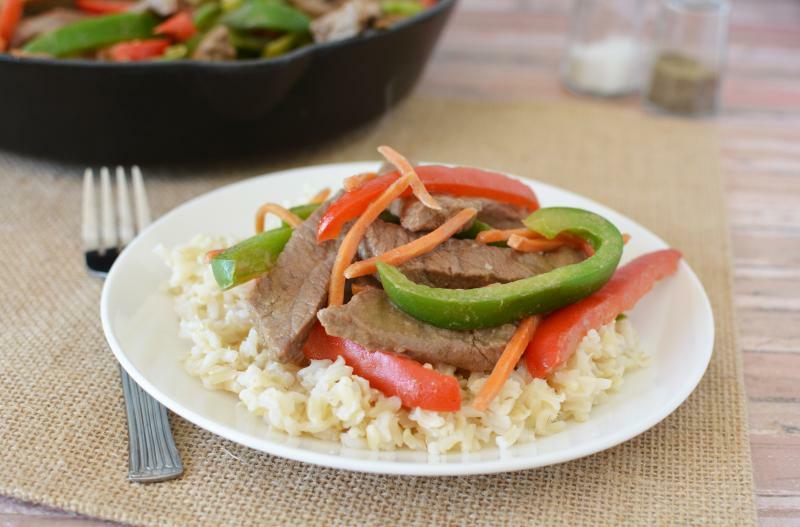 Thaw in the fridge overnight, or a warm bowl of water for about 20 minutes, before transferring to skillet or wok for cooking the beef, veggies and sauce. Stir in cornstarch and water, as directed in the recipe. Serve over rice or rice noodles with egg rolls.